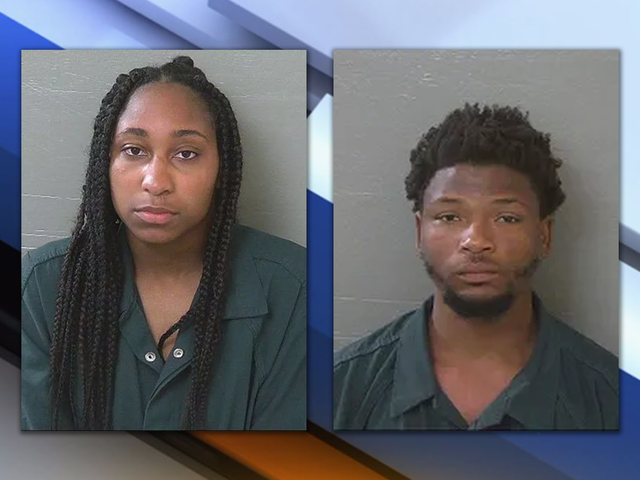 PENSACOLA, Fla. (AP) — Authorities say two people have been arrested after leaving a pit bull puppy in a car at a Florida beach. The Pensacola News Journal reports that 21-year-olds Kylane Gray and Scotlyn Odom are charged with animal cruelty. An Escambia County Sheriff’s Office arrest report says a woman leaving a Pensacola beach saw the dog in the car Sunday afternoon. It says she waited several minutes for an owner to arrive before calling authorities. The responding deputy noted the car’s windows were cracked and a group of people were squirting water onto the dog. Odom and Gray then arrived and told authorities they were the owners. They said they left to shower and get the dog water, though neither had water with them. The dog was seized by animal control.